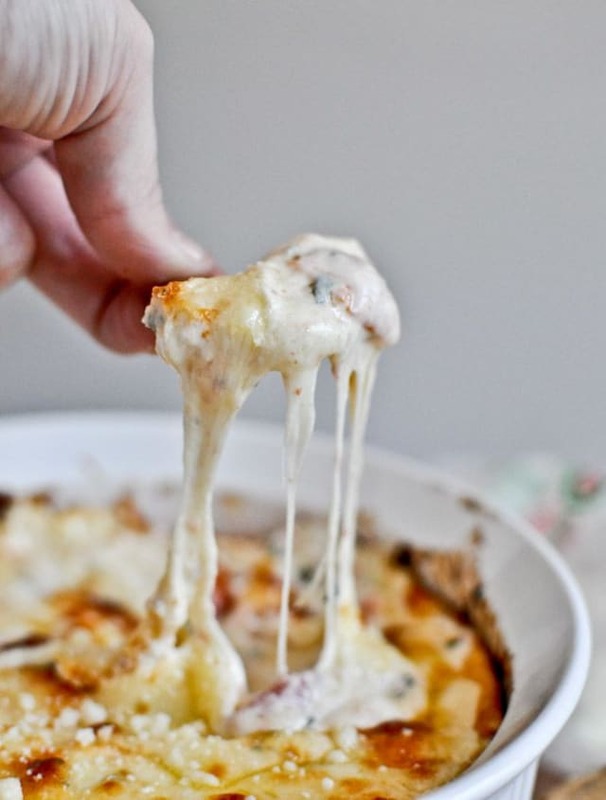 Cheese + Bacon = SO MUCH YES! 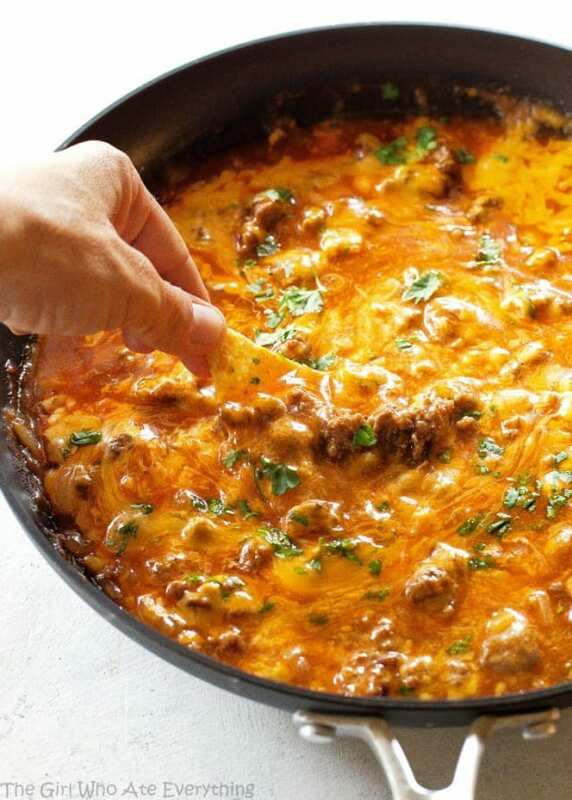 This beef enchilada dip is simply full of flavor. 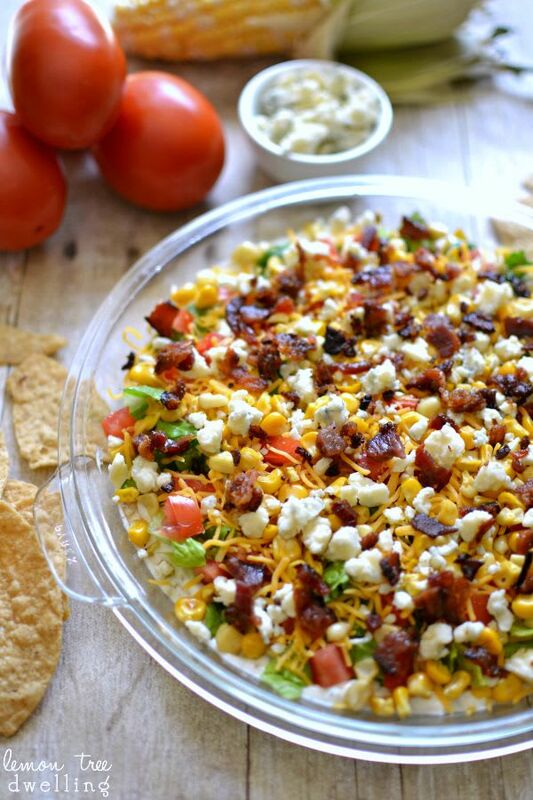 Almost an entire meal on its own, it's a great addition to your Super Bowl snacks! This cobb dip is full of delicious veggies, which may be the one slightly healthy thing on your Super Bowl table... but don't worry, there's plenty of bacon, too! Try it out today! Um, look at that cheese pull!!!!!! 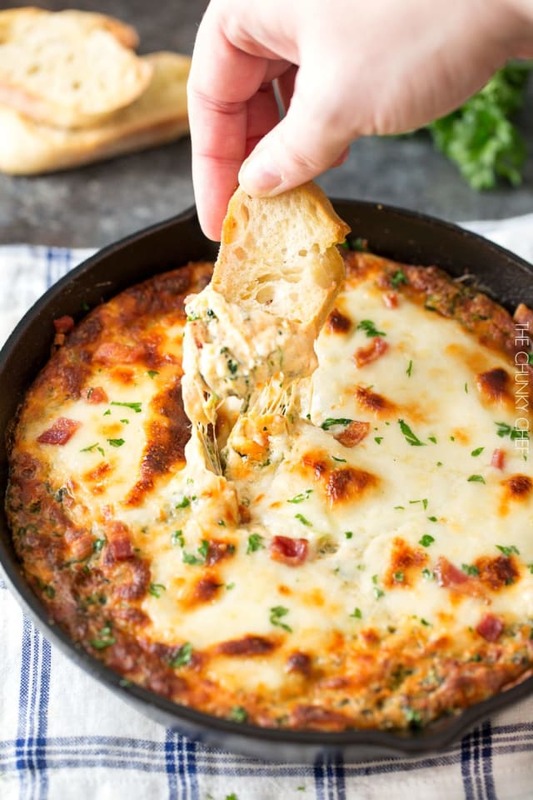 This insanely delicious dip is bound to be a party pleaser. 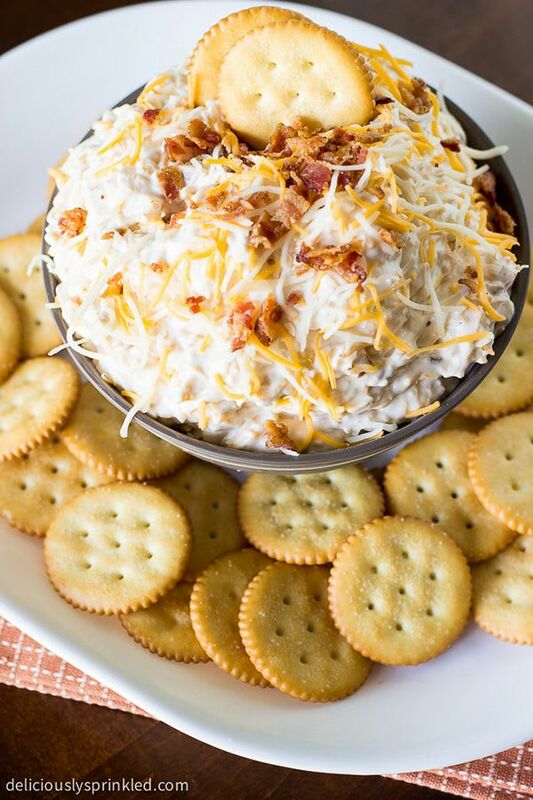 This Chicken Alfredo Dip is tasty and easy to make. Sure to be a hit at this year's Super Bowl party! Last-minute party? 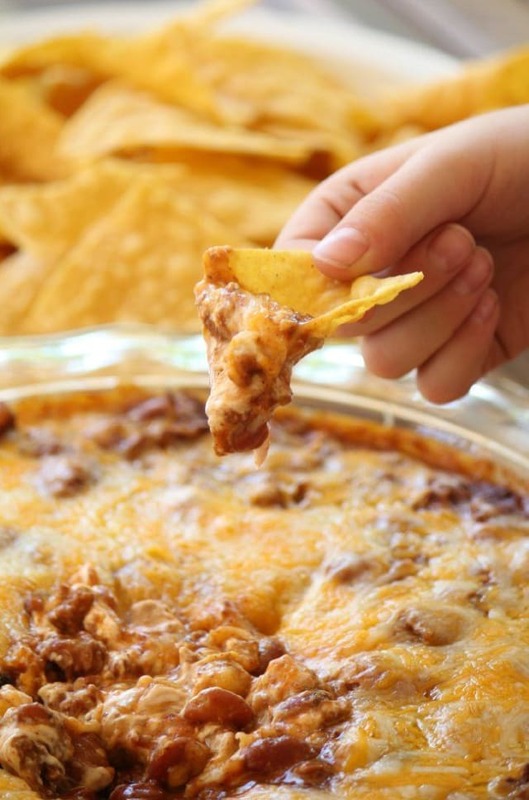 You can throw together this 3-Ingredient Chili Cheese Dip in minutes! Super easy and perfect for Game Day! 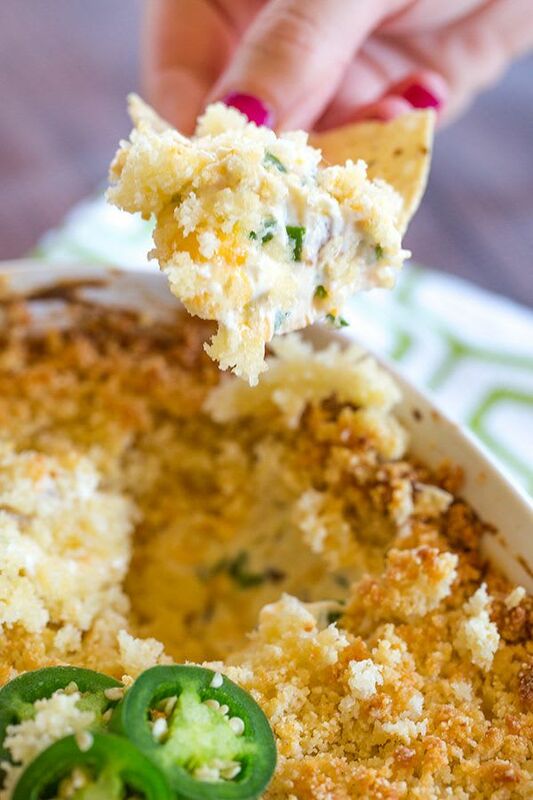 Jalapeno Popper Dip is creamy, cheesy and has just the perfect amount of kick. 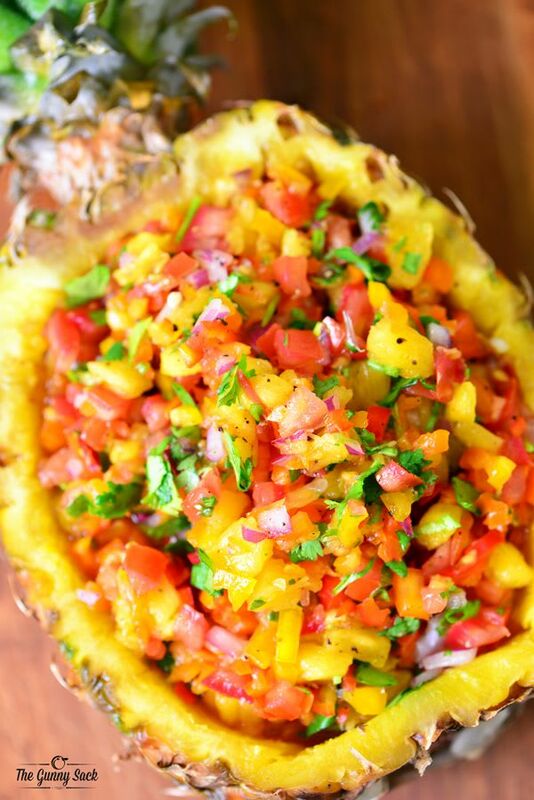 It's the perfect appetizer to serve on Sunday! 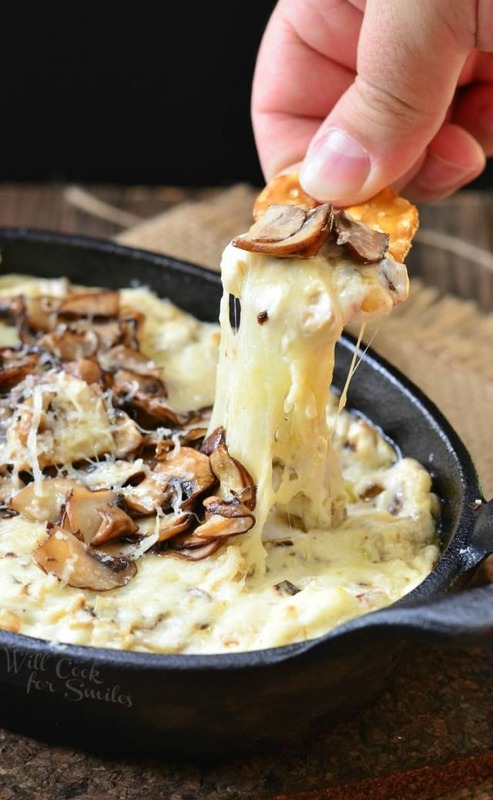 Add some sweet dips to your Super Bowl spread. 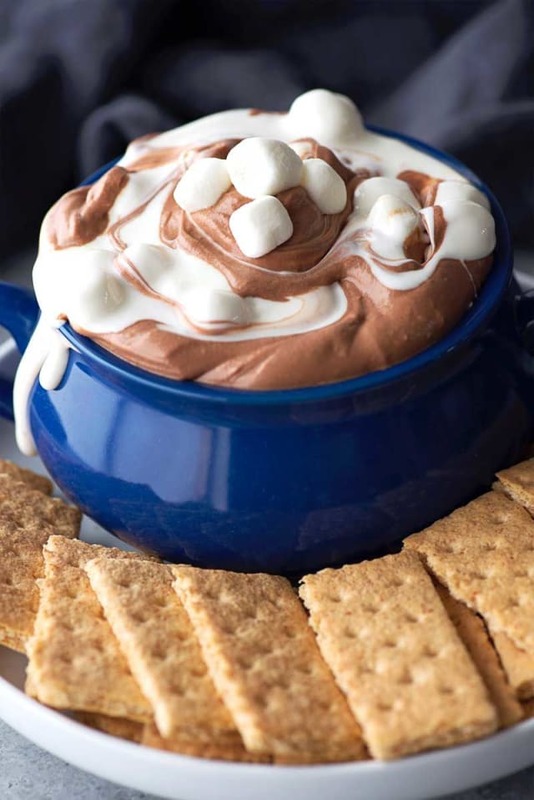 This S'mores Dip is super easy to make, no heating required! 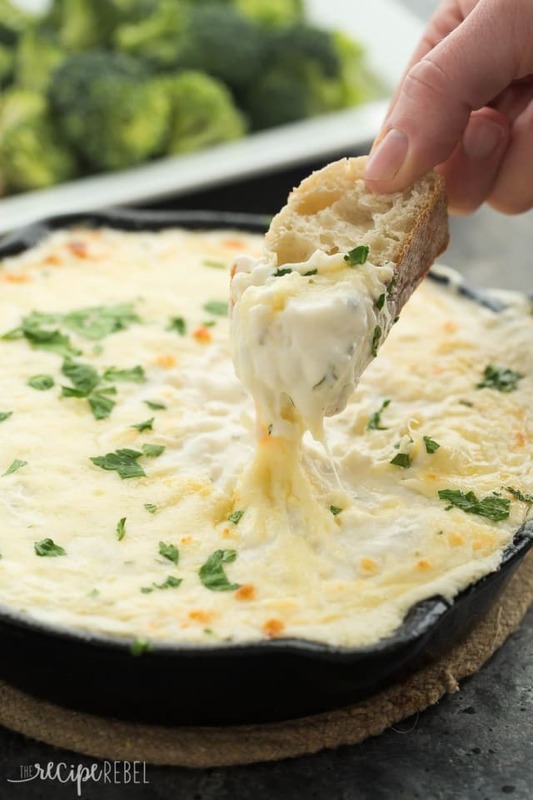 If you want to impress your guests, you need to make this gourmet dip. 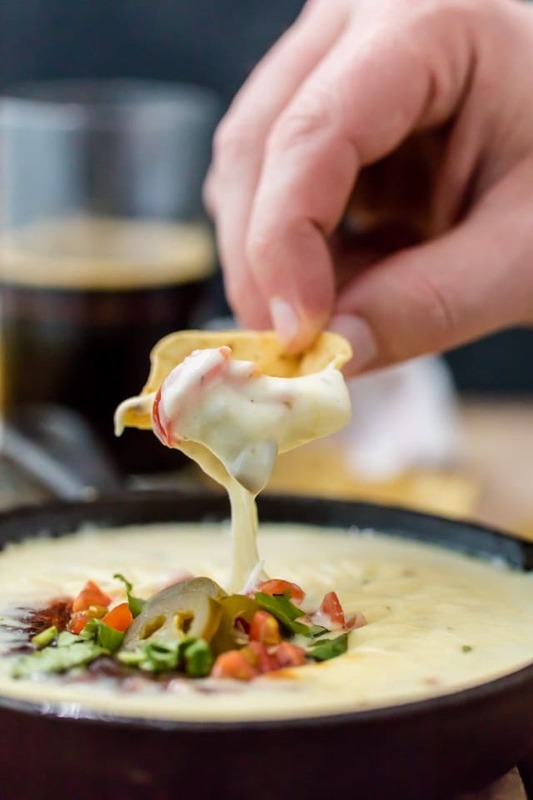 It's gooey, cheesy, and packed with flavor. 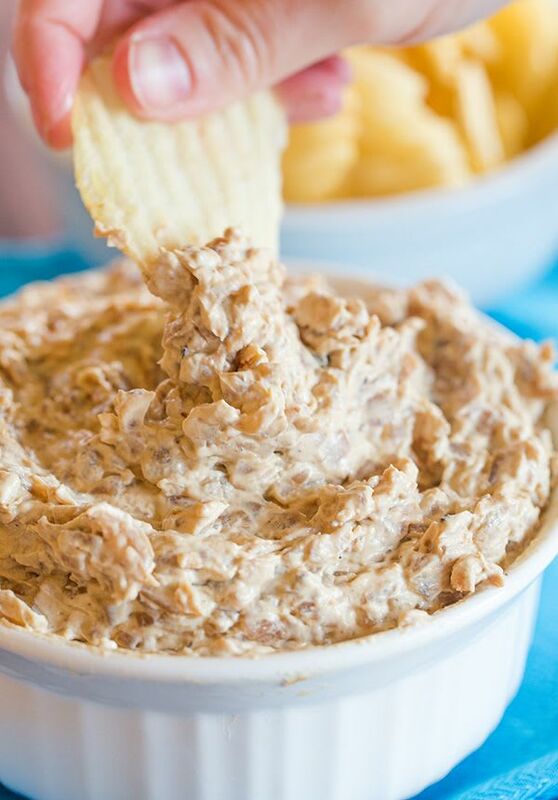 Make your own French Onion Dip, and add a homemade classic to your Super Bowl party! Holy Guacamole!! 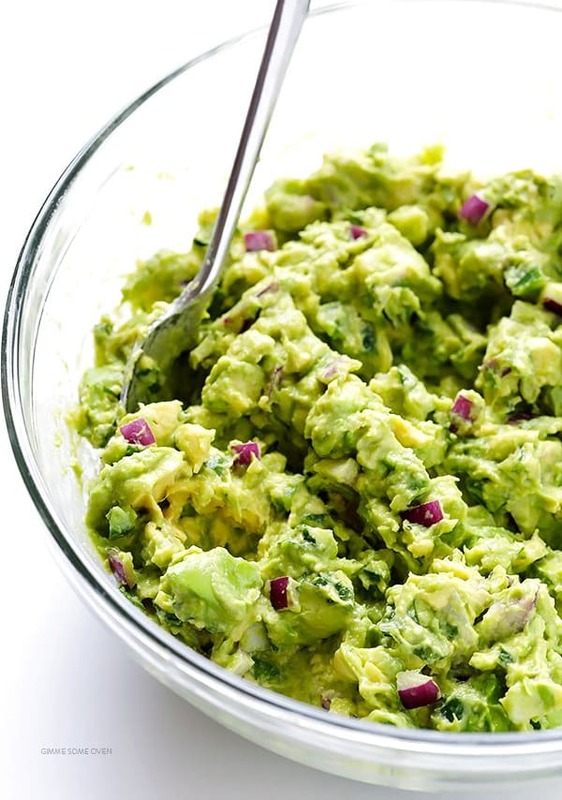 This no-fail guac recipe is a must-make on Sunday (and everyday, really). 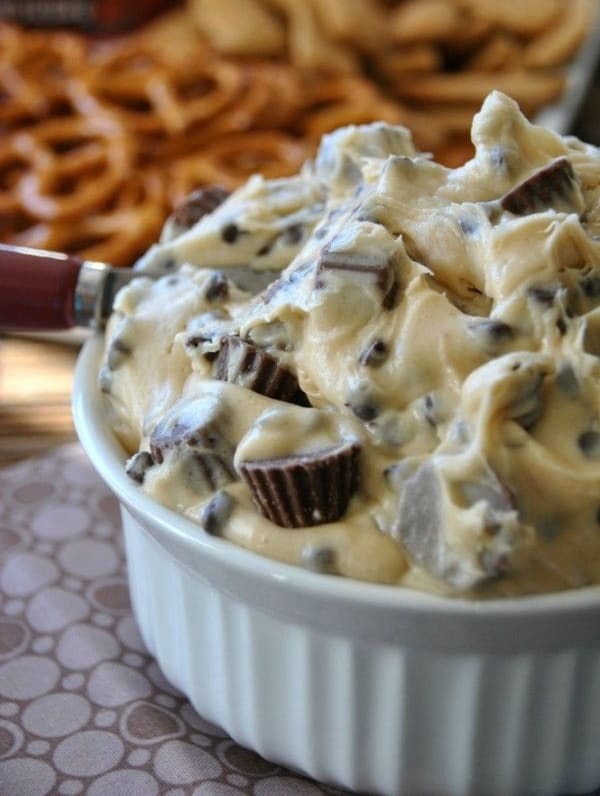 Chunks of mini Reese's cups, mini chocolate chips, peanut butter. What more do you need? 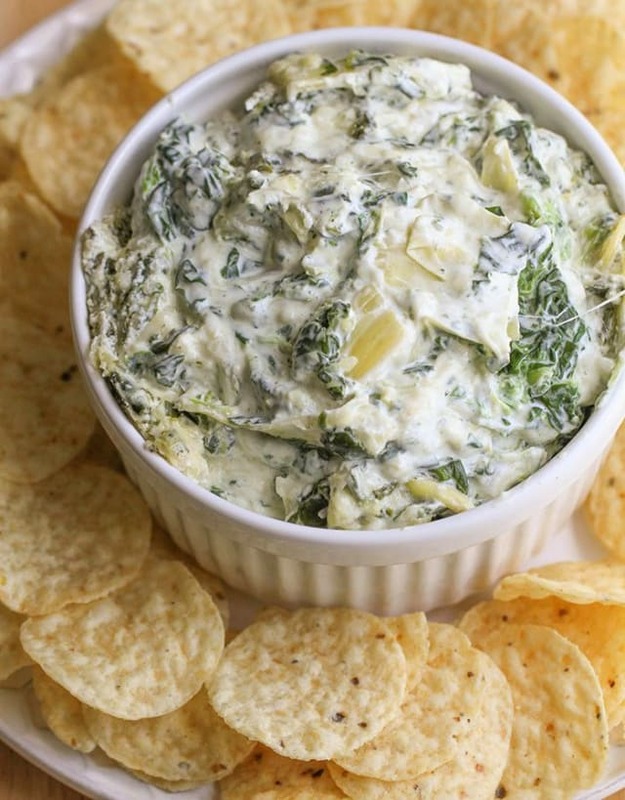 Let's be real, it's not a party unless you serve spinach artichoke dip. 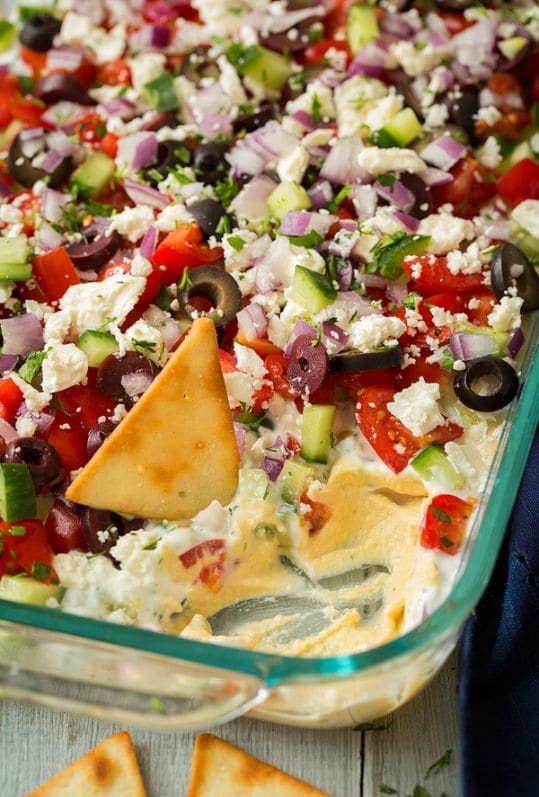 This Greek 7-Layer Dip is loaded to the brim with flavor. Plenty of great taste for your party! Takes 15 minutes tops, and it's AMAZING! 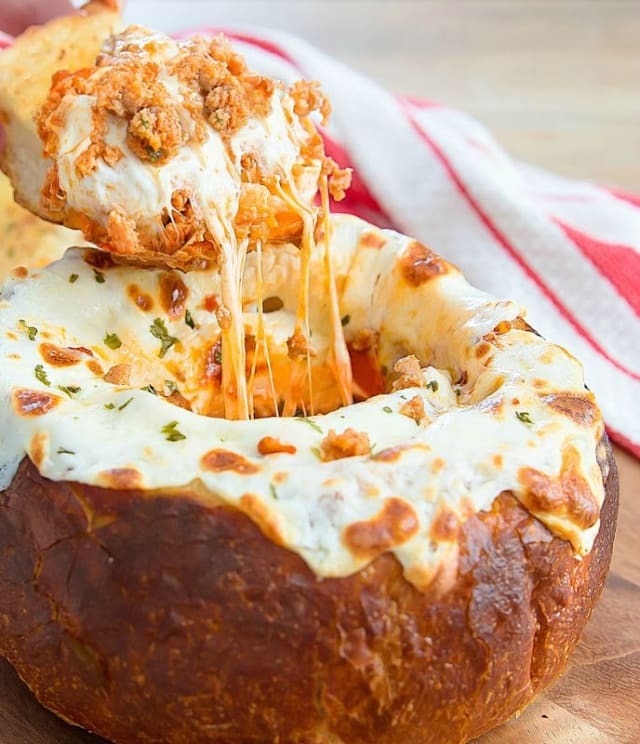 This garlic bread bowl is filled with ground meat, tomato sauce, and fresh mozzarella cheese, for a delicious and fun dip. 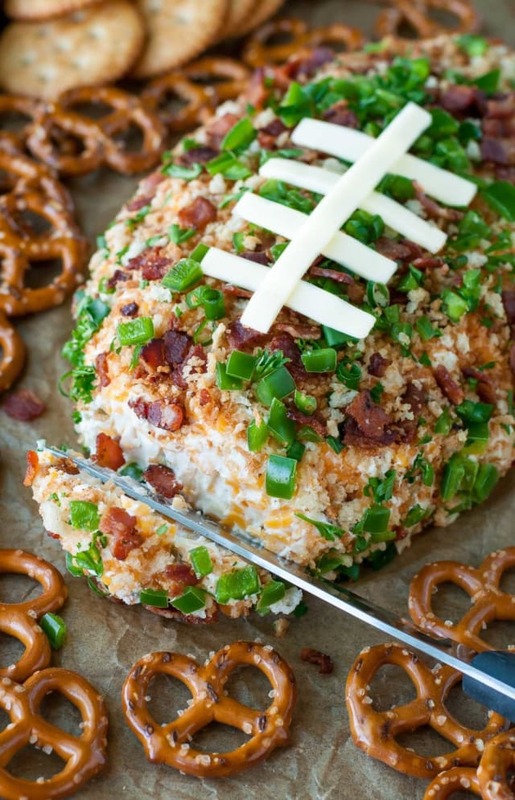 This spicy cheese ball is sure to make a touchdown at your Super Bowl party!